A new driving Licence is now likely to cost Rs. 1200 instead of Rs. 300. It is also expected that driving lessons fee will also increase. The Union Government has proposed a new amendment in Motor Vehicle bill 2016, which states that there is hike in the issuing and renewing a driving licence. If this proposal is run by the govt. then the Licence fee will be Rs. 1200. Also under new changes the issuing of smart card licence will be charged as Rs 400 and learner's licence will cost you Rs. 150 per class of Vehicle. The international driving permit will cost you Rs. 1000 which is currently obtained in Rs 500. Along these lines, even the expenses for driving lessons will go up following the govt. has anticipated four-fold increase in permit issue and renew of driving schools from Rs 2500 to Rs 10,000. 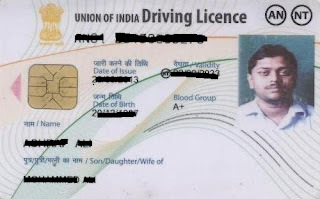 Likewise, the one-time expense of Rs 50 which is charged for directing a driving test for driving permit will be hiked to Rs 300 for every class of vehicle permit connected for. Which implies, for a consolidated test for a bike and four-wheeler permit a candidate will need to spend Rs 600.